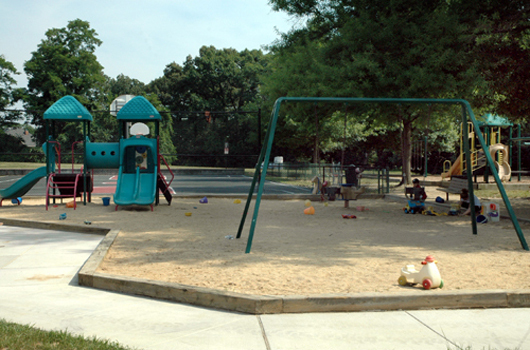 Enjoy a day off at this historic 15-acre park that includes Madison Community Center, turn the kids loose on the playground, shoot hoops on the basketball court, run around on the multiuse field (permits take priority) or bring your dog out to the nearby dog park. Ft. Ethan Allen Park has been placed on the National Register of Historic Places by the United States Department of the Interior. 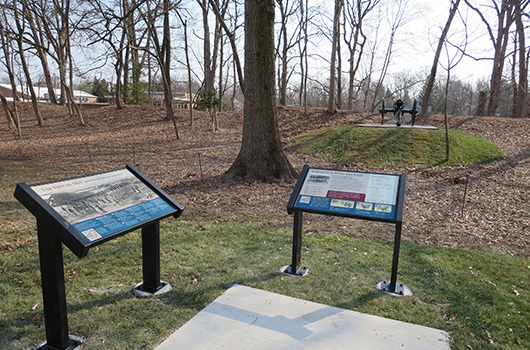 Additional Fort Ethan Allen Park amenities include a gazebo and interpretative panels located west of Stafford St. adjacent to Glebe Road Park. Be an environmental hero and help us keep Arlington a great place to live, work and play with the Adopt-a-Park Program. The dog park is sponsored by Madison Dogs.